Indian male engineer MBA success: admitted to Tuck + Tepper + McCombs! 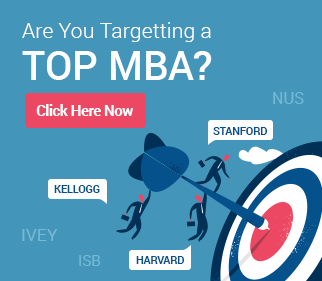 Home Blog Indian male engineer MBA success – admitted to Tuck, Tepper, and McCombs! Is the Indian male engineer MBA story condemned to eternal disappointment? The truth could not be further from this. In an earlier post on the Indian IT Male’s MBA prospects, and another on the importance of school selection, we have highlighted that IT professionals need not approach the MBA application process defensively. This post is all about the fantastic results achieved by a person who did exactly this, ending up with admits to three of America’s best MBA programs – Tuck, Tepper, and McCombs! From happiness to ecstasy to bliss. The best part about Rajeevaksha’s (Rajeev’s) story is that it just kept getting better and better. The McCombs decision came first. Now, McCombs is one of the best schools in the US, possibly in the world. Getting this first admit made Rajeev very happy, and he told us that he would be happy to go here if he go through no other school. By the time the Tepper decision came, this statement was already redundant, and Rajeev was ecstatic. He was clearly made for bigger things, though (although Tepper is one of the biggest, and the best, too). The Tuck maiden made him wait for quite a while, but finally she acquiesced. 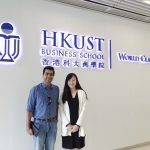 Rajeev’s B-school application journey ended with bliss – a Tuck admit! When Rajeev first contacted GyanOne, what he wanted really was a thorough analysis of his profile. Here he was, clearly one of the most accomplished IT professionals we have met (although from the oft-mentioned Indian IT Male category), and he wanted to simply know why his earlier attempts at top B-schools had not been successful. Over multiple days and discussions, we arrived at a common understanding – he was clearly among the best, but he had been very shy expressing it all. This is another key point of learning for all shy B-school applicants out there – shyness is a virtue in maidens being wooed, not in applicants wanting to scale the peaks of top B-schools. Don’t be shy of mentioning your genuine achievements and claiming due credit for them (although do it with style!). Technology is Rajeev’s forte. Over the last few years, he has lived and worked technology. Yet, this was also his Achilles heel. Rajeev realized this early and worked on a judicious and well-thought out plan to convert this into his strength. He also worked on his multiple other strengths – founding a band, helping turn around a rural school, and running a unique legal initiative – and made sure they counted this time. Over this journey of more than four months, GyanOne worked to advise Rajeev on how best he could do this. On occasion, we also played counsellor. We still remember the day (as does Rajeev, with a smile) that Rajeev had decided that these schools would be too ambitious for him, and that perhaps he should just forego applying at all. He was doing well in his IT career, after all, and what better place for an Indian IT Male than in an Indian IT organization? We are glad, Rajeev, as we know you are too, that you went beyond. Perhaps the best way to end this piece is to reproduce, verbatim, Rajeev’s reactions on getting through to his B-schools. From happiness to ecstasy to bliss, as we said. “Got into Tuck!!! I am speechless 🙂 Thanks a lot again!!! !